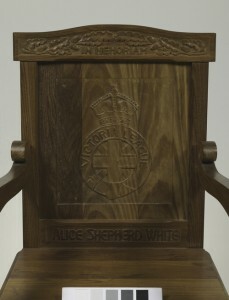 Chair carved 1945 for Victoria League in memory of Alice Shepherd White . Who was Nellie Payne? 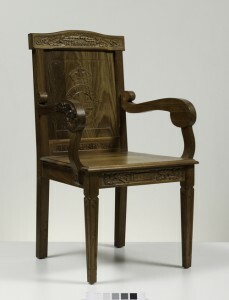 Carved 1945 for Victory League. Close up back Victory League chair. 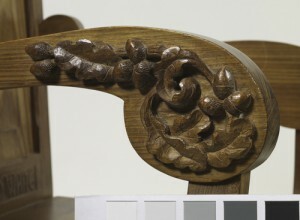 Close up arm rest, Victory League chair. 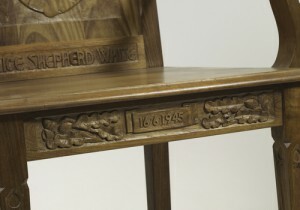 Detail of date, Victory League chair. This piece is one of Nellie’s later pieces. 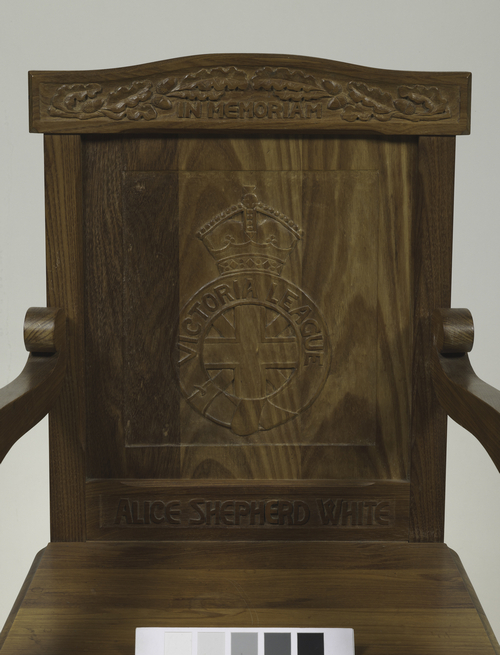 She carved this chair for the Victoria League in memory of Alice Shepherd White. This chair has now been donated to the Tasmanian Museum and Art Gallery, Hobart and we thank them for photographing this, and allowing the photograph to be part of Nellie’s exhibition in 2015.